The Healthy Hoff: Vegan Easter Basket! Easter is almost here! April 8th to be exact. And do you know what to get the special vegan in your life? 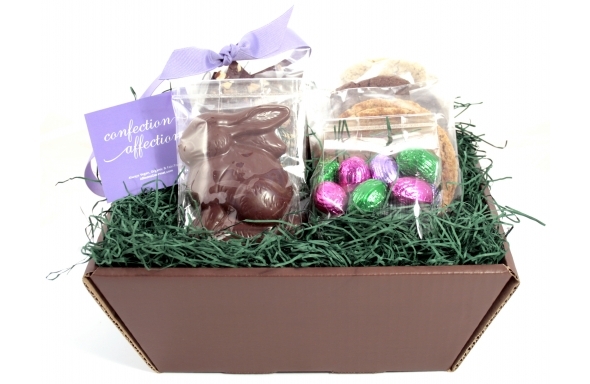 A Vegan Easter Basket of course! Allison's Gourmet can you hook you up with that! The $85 price tag is rather pricey, so if that doesn't suit your budget, go à la Carte and put your own basket together! Don't procrastinate, Easter chocolates are beginning to ship now & they tend to sell out! Thank you Allison for creating vegan treats!